Black matte frame, black wheels, drop handlebars. Grey frame, black wheels, drop handlebars. 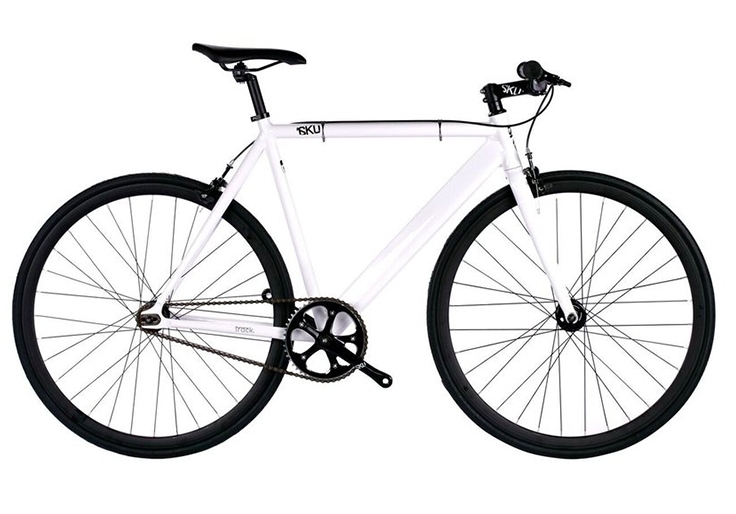 White glossy frame, black wheels, bullhorn handlebars. White frame, blue wheels, drop handlebars. Green matte frame, black wheels, drop handlebars. Blue matte frame, black wheels, bullhorn handlebars. Blue ionized frame, black wheels, drop handlebars. Black matte frame, black wheels, bullhorn handlebars.